...so I thought it was about time I updated the blog. This has not been from lack of enthusiasm or interest. Far from it. 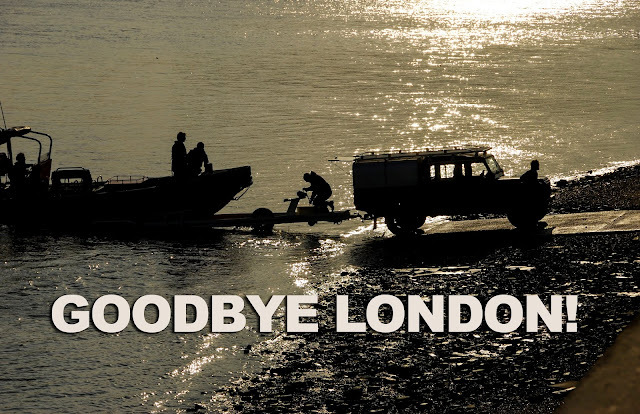 I was feeling a bit rough over Christmas and had a fishing trip planned, for the 30th December, that I was really looking forward to. As the days passed I was starting to feel really groggy. Then all of a sudden I was seeing double, It was so bad that I could not read and typing was a nightmare as I could not focus on the screen. Moreover, driving was a compete no, no. Now I am thinking all sorts, but logic took over and I realised that my dose of whatever this virus was, started to accentuate a problem I have had for years and just lived with. My right eye sort of follows my left by a split second. I think my brain has just been compensating for it. Over the years this condition has worsened and I had not realised. Being ill had slowed this process down to a point where my brain could not cope, The result was, not only was I seeing double, the strain was giving me a headache. I booked an appointment at my local options, which happened to fall on the day I was meant to be going fishing. After an eye test, the optician (or is that optometrist these days?) discovered that not only the above was the case but my prescription had changed considerably since my last eye test some years ago. Now all I needed was to work out how far my eyes were out of alignment. This proved to be a long and drawn out affair due to a piece of equipment being mislaid in a very recent refit of the premises. I eventually got my new glasses on Monday of this week 19 January... Brilliant! It is amazing how much better I can see and those fish look even bigger! Just as I thought I could get around to thinking about a spot of fishing the Flu-type bug came back with a vengeance. I am not one for going down with colds and flu, but this is the worst bug I can ever remember catching. It is completely debilitating making even thinking hard work - Okay, harder than usual. It is now Sunday 25th January and I seem to be on the end of it being left with a persistent cough and sore eyes but at least I can see to read and type (as you can see!) with a degree of ease. For the past few nights I have not had much sleep as laying down evokes a coughing fit. 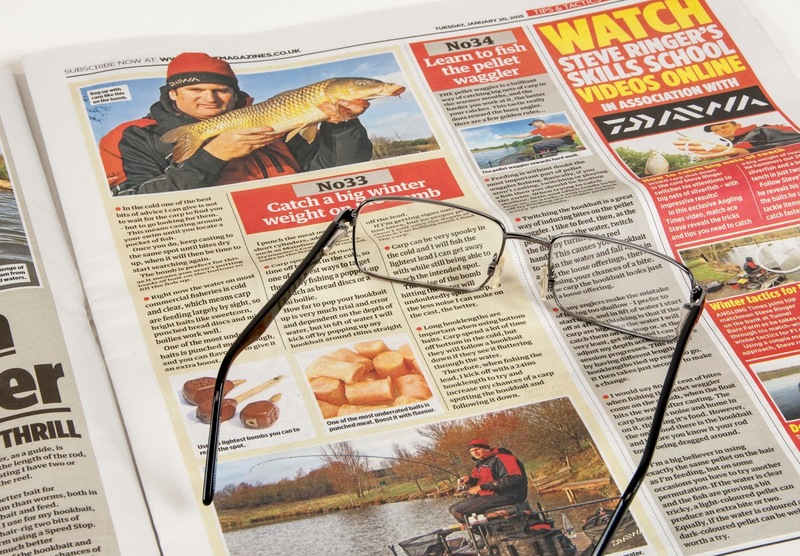 I can sit at the table and read so that is what I have done for the last couple of nights I have read, methodically, every word of last week's Angling Times from page one. Now I have an even bigger list of things I want to do. Hopefully that will start to come to fruition over the next few weeks. Very neat and only £14.00 including the postage! 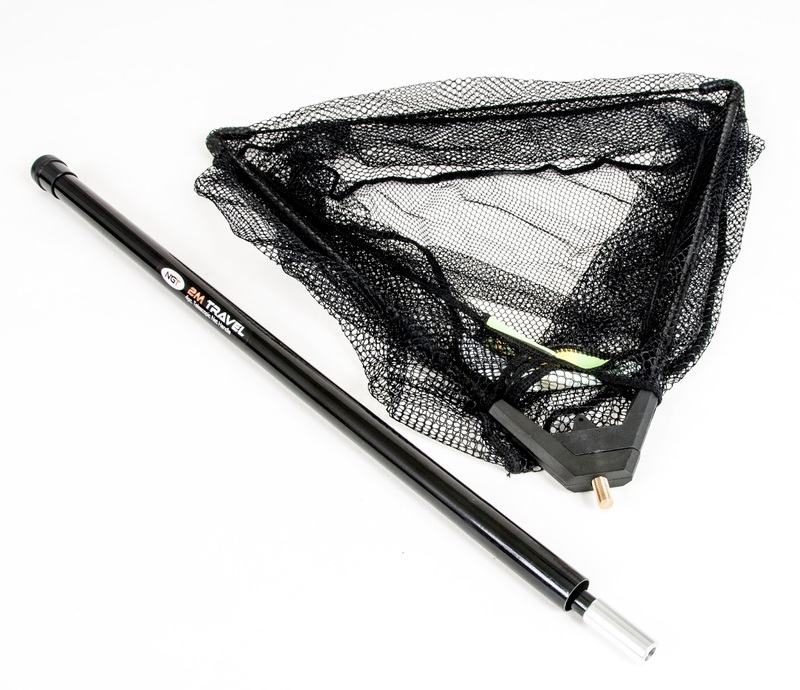 In advance of the impending acquisition mentioned in my LAST POST I have found and purchased what I think is the prefect 'emergency' landing net for my intended experiment in dropshotting. I say emergency as I don't intend to catch anything that is too big to swing to hand, but if I do I want to be able to land it without doing the fish any harm. 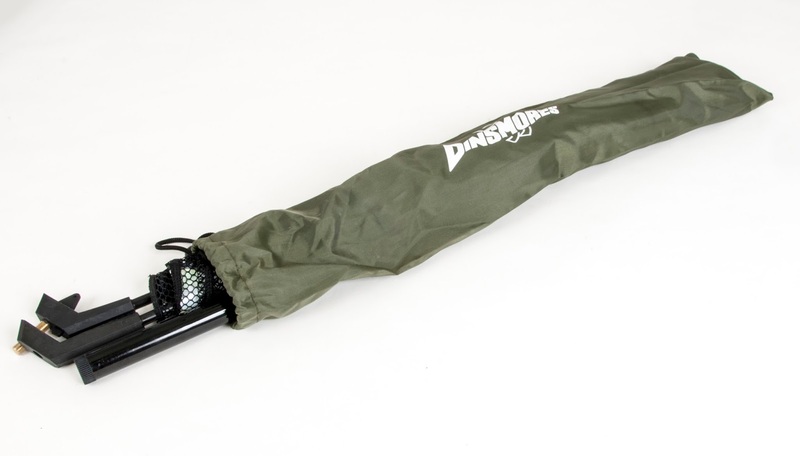 The net is a small folding 18 inch triangular job with a 6ft+ telescopic pole that is only just a shade over 24 inches long when closed. Perfect, and at £14 including delivery, it is just what I was looking for. The pole extends to just over 6ft - perfect! Dropshotting hooks are a odd shape and although I may not need to use barbless hooks, I prefer to as I think they are kinder to the fish. I have ordered some of the genuine articles but it occurred to me that I have a box of hooks that I bought on an impulse on eBay. This box of hooks were all barbed and of several various sizes. The largest ones seemed to be about the correct size so I set about one with a couple of pairs of pliers I had found (in a rusty and unloved state) on an old tool stall many years ago in Club Row market. After a good clean up they have served me well ever since.